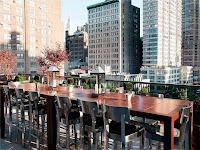 New NYC Hotels - Sonal J. Shah Event Consultants, LLC. New York City is a fantastic location to host your wedding and is considered one the trendiest cities in the world. Many brides come to NYC to have their dream-wedding day. There are many new hotels that have recently opened here in the city and would be great venues for your wedding. 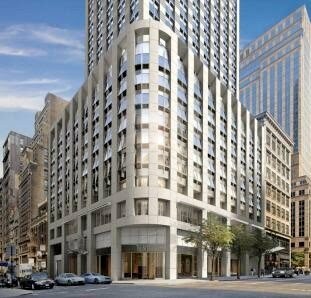 Trump Soho is a new hotel located in Lower Manhattan. They offer three ballrooms of different square-footage to accommodate different size weddings. Depending on the ballroom, you can chose a room with floor to ceiling windows, allowing your guests to view the skyline of lower Manhattan. This hotel would be an excellent choice if you want your guests to enjoy different views of the city. Eventi Hotel recently opened and they offer a beautiful view of the NYC skyline, as well. They can offer cocktail receptions for up to 350 guests and s sit down dinner for up to 250 guests. They have special wedding packages for prospective brides. 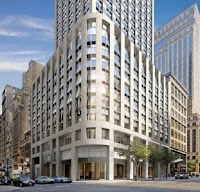 You and your guests will also be within walking distance to Madison Square Garden, Macy’s, and the Empire State Building. This hotel will be an excellent choice if you want your guests to enjoy your wedding, as well as some of NYC’s most famous landmarks. Your guests can explore what the city has to offer. The Setai Fifth Avenue Hotel is located in midtown Manhattan and guests will have a wonderful view of the famous Fifth Avenue. They have four different ballrooms of different square footage. This hotel is extremely luxurious with their vintage wine cellars, restaurant, spa, and custom architectural designs. This hotel can even help you plan your big day. They can assist you with planning a wide range of wedding details, such as choosing your menus or designing your floral décor. They will even help you plan your honeymoon! This hotel can be your one stop choice to planning your wedding day. New York City is an ever-changing city and will be an excellent choice for your big day. With a wide range of new and old hotels, famous landmarks, and amazing skyline, there is a perfect venue waiting for you. In this city, you will find exactly what you are looking for when planning your dream wedding.